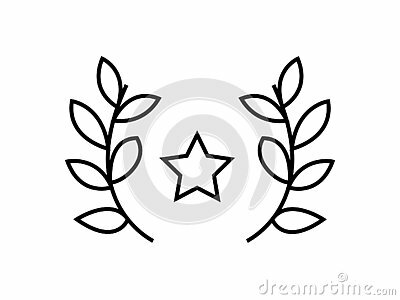 SImple symbol of a star with laurel leaves around it in vector format. Vector business illustration of gold medal with leaves icon in flat line style. Three cups. All colors and numbers can be changed.